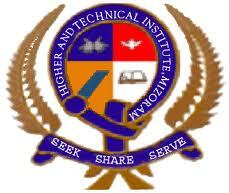 WELCOME to the Higher and Technical Institute of Mizoram, the first “Christian Residential Co–Ed in Mizoram”. HATIM is conceptualized and was founded in 2007 as the first Christian College in Mizoram with a view to blend sacred and secular education. The congregation with a membership of more than 1 lakh, and other committed persons render service to the fulfillment of this Educational Ministry. Higher and Technical Institute of Mizoram HATIM, Lunglei offers various graduate courses as well as Post Graduate courses. Higher and Technical Institute of Mizoram HATIM, Lunglei is affiliated to Mizoram University, Aizawl. List of facilities available at Higher and Technical Institute of Mizoram HATIM, Lunglei for students.